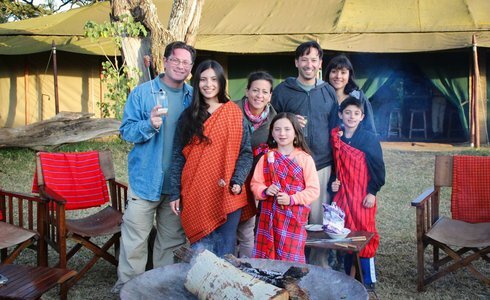 Escape the frenzy of modern family life with an uninterrupted Great Family Getaway in Tanzania. A world of wonder awaits you and your loved ones. 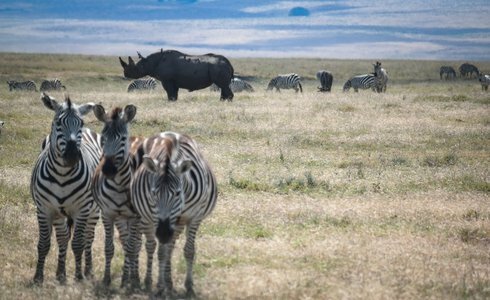 Tanzania is a fantastic destination as it is brimming with exciting things to see and do for the whole family from game drives to exploring historical sights to cultural exchanges with the Maasai; there is something of interest for all ages. Anticipate fun filled moments and cherished memories your children will safeguard forever. Over the 14 day trip you can look forward to seeing huge herds of elephants in Taragire National Park, exciting animal activity in the Ngorongoro Crater, exploring the iconic Serengeti National Park, taking in the sights and sounds of Stone Town and kicking back on the beached of Zanzibar. 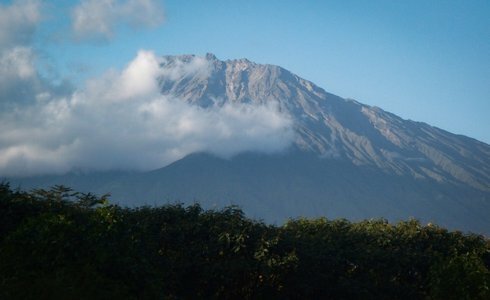 Your family vacation starts with a warm welcome at Arusha, the safari capital of East Africa. From here a travel representative will accompany you in a private vehicle to your chosen accommodation in the city of Arusha. If you're feeling adventurous, go into town and experience the full color of Tanzania society and its lively markets. Otherwise, sit back and relax before you set off on your safari journey. Before leaving Arusha, enjoy a village tour to Shanga. Shanga Village is a safe, uplifting rural community where the locals flaunt their creative artistry in exquisite bead-work and glassware. If you're looking for the perfect curio or artifact this is where you will find it. 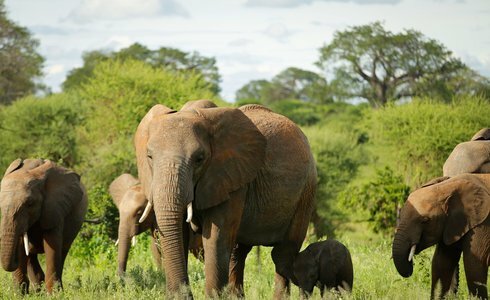 Afterwards, travel to Tarangire National Park which is renowned for its herds of elephants. Here you will enjoy your first game drive. Keep your cameras ready and your eyes open! After your gaming excursion, move onto your chosen lodge or camp which will be home for the next two days. Relax and take in the sights and sounds of the African wild. Following breakfast, it's time to make your way to the Ngorongoro Conservation Area. Check into your welcoming chosen lodge or camp and freshen up and settle in before you embark on your next game drive. While in the area, visit Lake Manyara which is home to flocks of pink flamingoes, which wade in the shallow waters, as well as tree-climbing lions. No trip to the area would be complete without a trip to Ngorongoro Crater! Home to approximately 30 000 large animals -including wildebeest, zebra, rhino and lion -the exclusive vantage points offer timeless panoramic views. After a hearty breakfast, visit the historical Olduvai Gorge, the most noteworthy archaeological region in East Africa. Dubbed as one of the most momentous places for archaeological study, the gorge is home to the “Nutcracker Man” which was the first skull found in East Africa and is over 75 million years old! While in the Serengeti region, enjoy a cultural visit with a traditional Maasai tribe. Enjoy as they showcase their traditional customs and lifestyle. A highlight of your trip will be a drive through the Serengeti National Park; quintessential safari wonderland enjoyed by all ages. A sensational Serengeti experience is followed with the rich island contrasts of Stone Town in Zanzibar - think swaying palm trees, sparkling white beaches, indigo waves and old sailing boats. The vibrant and rustic atmosphere is a throwback to yesteryear and swashbuckling adventures. Take in the ambience of the hustle and bustle of town, including the busy markets and buzz of the streets, and enjoy a cruise around the bay. 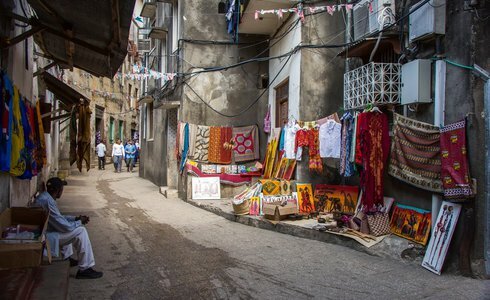 Stone Town offers a melting pot of Tanzanian culture as well as a trip through Zanzibar's history. Your seaside family escape continues with four days on the lush shorelines of Zanzibar. Observe the iconic views of Tanzania's beach life featured in many journals and travel publications the world over. Make your way to your chosen hotel or lodge, unpack and get ready to discover the delights of Zanzibar's island living. A variety of activities are available for all family members, including spa outings, kayaking, windsurfing and snorkeling. Alternatively, escape with your better half for a quiet stroll far away from the buzzing world that lies beyond the watery horizons. At the end of your beach getaway, enjoy your last few hours in island paradise before continuing with your onward journey.